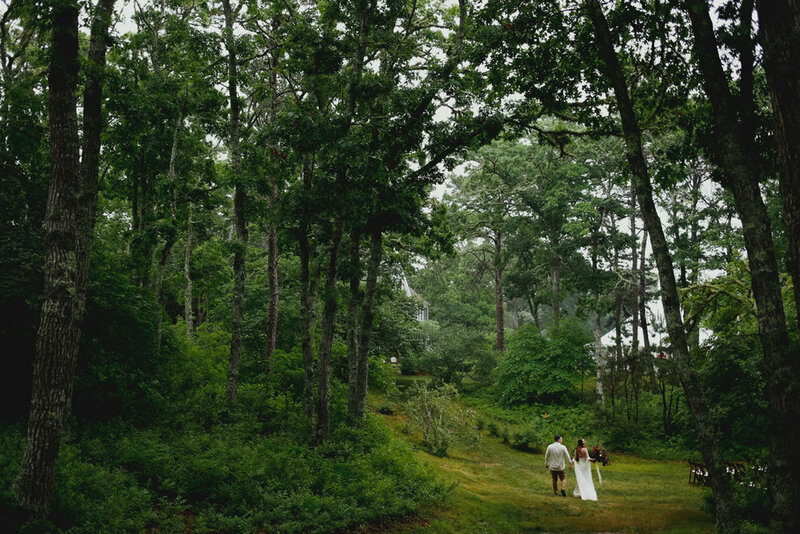 When Attie inquired a year ago, she immediately shared her vision for her and JD's wedding with me. 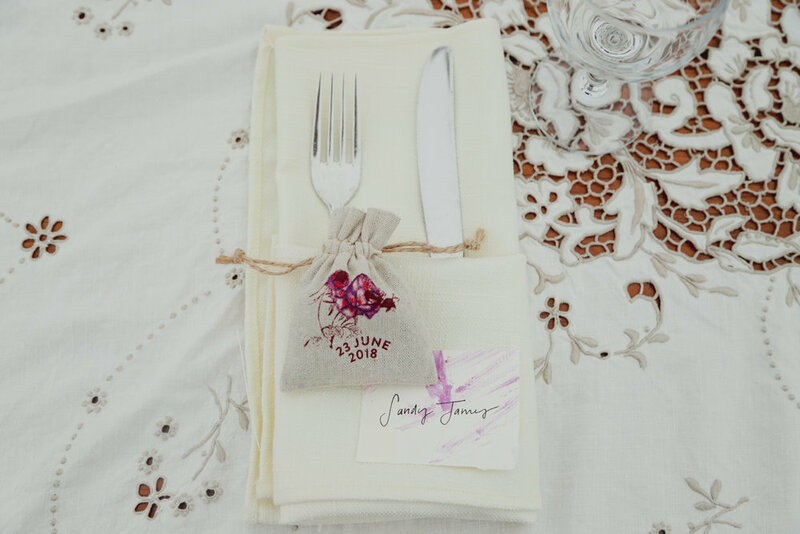 In our first phone call, she described a hidden lavender farm tucked in the middle of the Cape, muted jewel tones for each of her bridesmaids and Iron & Wine and Nick Drake to be played during the ceremony. I was immediately excited and have been looking forward to this day for quite a while. It was such a delight to get to know both Attie and JD over the past year and watch their vision come to life as we've met up at their apartment in Brooklyn and talked over the phone. With a 100% chance of rain forecast for Saturday afternoon, everyone was apprehensive that the entire day would have to be held at the tent, but by the time Attie had put on her dress, the rain stopped, with a cool, gentle mist drifting about, perfectly tying their vision together, and allowing the ceremony, photos, and a whimsical scavenger hunt for the younger guests to take place outside. 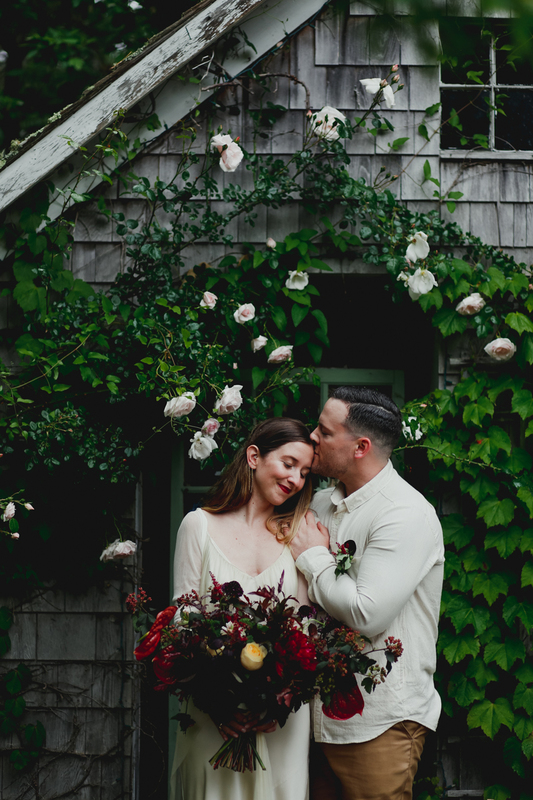 With all these details, I almost forgot about how calm, collected, and go-with-the-flow Attie and JD were the entire day- the perfect co-collaborators in what can only be described as a magical day.